The wonderful folks over at Quant Games in Moscow wanted to let our users know about their game Siege Online. Siege Online is a free-to-play massively multiplayer online role playing strategy game, based on a modern 3-D game engine. 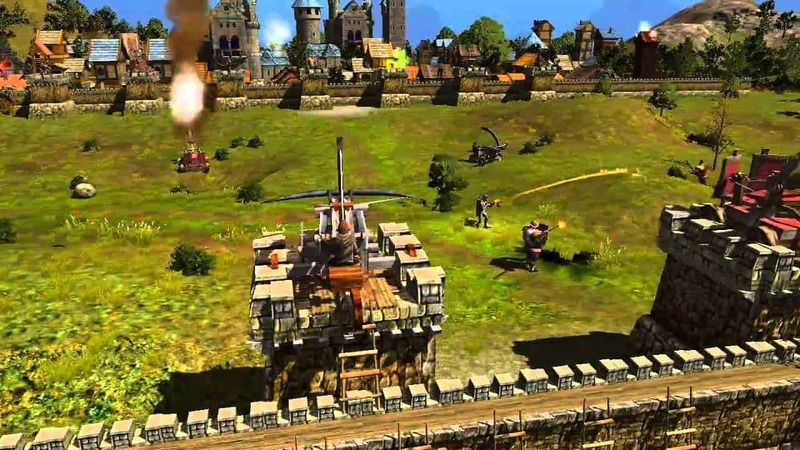 Siege Online stands apart from the other MMORPSs by its synthesis of both a third-person RPG and a strategy. On the one hand there is a vast open world where players dwell ?in the flesh?, where they work, trade, build and communicate with one another. On the other hand each player is a commander of a small army acting in a tactical mode. Success in the battle depends on in-depth preliminary planning as well as an ability to make the right decisions in tough situations on the battlefield. – unique strategic battle system. The rules are simple but the number of tactics is infinite, like in chess. Rude force and fast-clicking won?t help you to win! – personal castle development 100 different buildings are available for construction and most can be upgraded. – complex economy including craft, trading, mining, hunting and herb gathering. The in-game economic system strongly evokes that of the real-world. You need to be quite shrewd to prosper! – PVP zones with PVP battles It?s not enough to build your own town, you have to defend it!